Visit PDWRA PEOPLE to see our list of Trustees and find out how to contact us. Visit FRIENDS OF WELFARE to find out how to become a Friend of Welfare. Visit SURRENDERING YOUR PUG for details of how to surrender your pug to PDWRA. 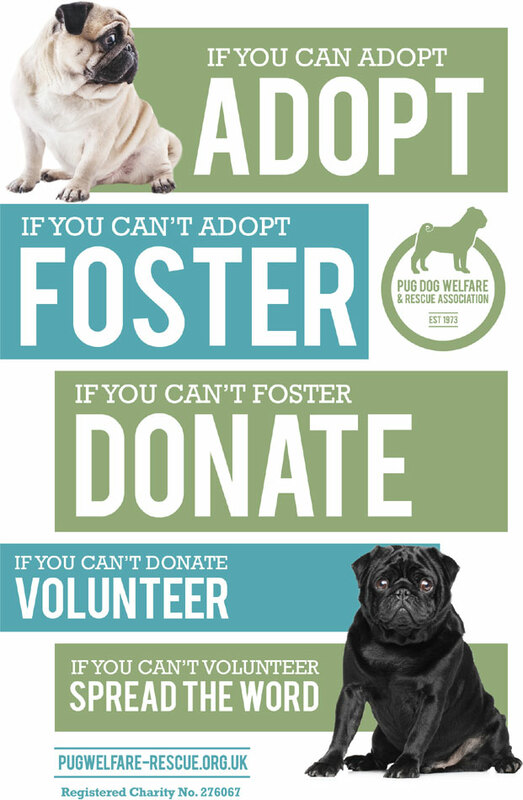 Visit ADOPTION & FOSTERING for details of how to adopt or foster a PDWRA pug. 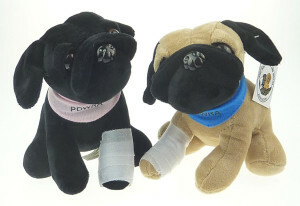 Visit SHOPPING for a great selection of puggy merchandise in the PDWRA Shop as well as the limited edition Poorly Paw Pugs. Last but not least, please visit DONATE to find out how to make a donation to PDWRA. And finally – why not visit the PDWRA Mega Auction for Pugs In Need page on Facebook? PDWRA is a registered charity in the UK – number 276067. 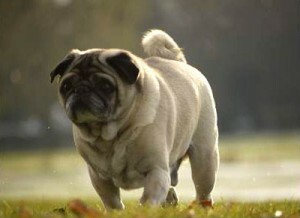 Strict rules are followed regarding the welfare, rescue and rehoming of all pugs. No profits are made and everyone gives their time and talents freely. 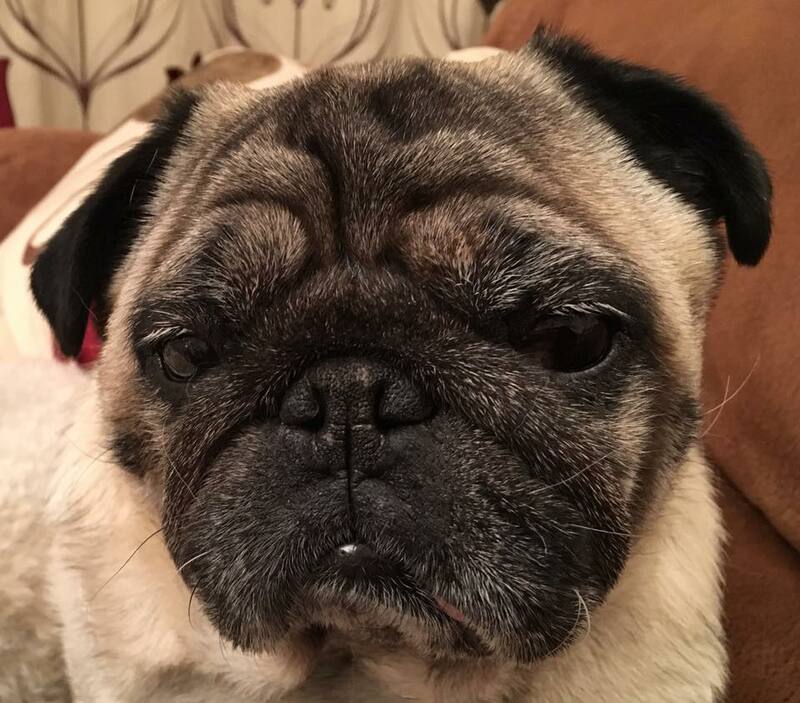 PDWRA operates throughout the whole of the UK and has a maximum of twelve Trustees, who are able to assist a pug in need in any part of the country. Should any further assistance be required, such as vetting a possible new home, and help with transport, the Trustees can call upon members of Friends of Welfare, whose contribution since this group was first formed has been invaluable. Each year we rehome and rescue many pugs. You will find some of their stories, and many photographs, on this website. In 2018 we were asked to find new homes for 356 pugs; although there were a few cases which did not go ahead, most of these rehomings did take place. This was a massive increase on our 2017 figures of just over 200. The Trustees had decided in 2014 that the time had come to operate our rehoming system on a regional basis; there are now 10 regional areas, covering the whole of the UK, the Channel Islands and Northern Ireland. 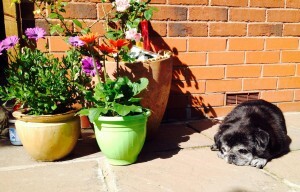 Full details and contact telephone numbers can be seen on our Surrendering Your Pug page. The Chairman, Robin Coulter, and the Secretary, Lynne Kellow, can be contacted here. 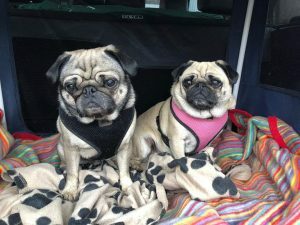 We seldom have pugs waiting for homes, and therefore we do not have a kennel or rescue centre anywhere in the UK. 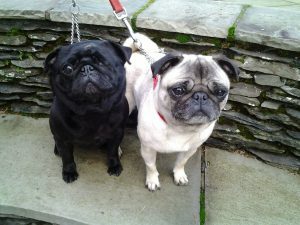 On occasions, however, we do have pugs in need of nursing care and temporary fostering, and again the assistance of members of Friends of Welfare is invaluable. Please note that with the exception of any pugs requiring nursing care or temporary fostering as mentioned above, no surrendered pugs awaiting rehoming are kept at the homes of our Trustees or Friends of Welfare. We therefore request that you do not contact us to ask if you can come and view the available pugs. Please don’t forget that your support is always needed. 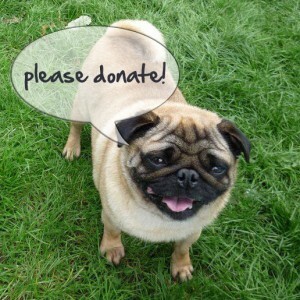 All donations are used to assist with PDWRA’s expenses in rescuing and rehoming pugs. Please click the button below if you would like to donate. Card payments are securely processed by PayPal, and you don’t need to set up an account to use the service.